Mountain Friends Camp has traveled and roamed between Utah, Colorado and New Mexico since we started in 2010. In 2018 we’ll return for a second summer to our friends at Collins Lake Ranch. Collins Lake Ranch, peaceful green valley and lake for canoeing and bird watching! Collins Lake Ranch, Mora, New Mexico: After a successful pilot program with Collins Lake Ranch in 2017, we’re looking forward to returning this summer. 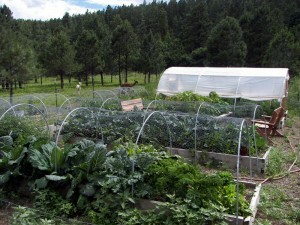 Collins Lake Ranch is located near Mora NM; their mission is “to provide meaningful opportunities to people with developmental disabilities who desire to participate in a rural mountain community.” Campers and staff loved their gorgeous mountain valley location (with a 12 acre lake, soccer field, organic garden, and farm animals!) and valued the potential for our program and campers to grow through connecting and building community with those with disabilities. There are currently five adults with developmental disabilities living on the ranch, with support from a holistically trained, 24/7 staff. MFC has separate camp area, they built a modern bathhouse and set up new yurts for us in 2017, and we’ll have more updates in 2018! We’ll also spend time in the community center, use their awesome kitchen, share program areas, and hike on and off the property. We’re working carefully with CLR leadership to plan on some integrated programs ranging from plork projects (including feeding the ducks and alpaca!) to crafts and sing-a-longs. Santa Fe Tree House Camp were our hosts in 2014-2017, we’re wishing them well as new management undertakes big renovations and updates this year.